Peter Franke of Durham, New Hampshire, takes off for the 30-mile event in Saturday's Wilderness Sled Dog Race in Greenville. Sally Manikian of Shelburne, New Hampshire, waits for the signal to take off in the 60-mile event in Saturday's Wilderness Sled Dog Race in Greenville. Martin Massicotte of St. Tite, Quebec, winner of the 60-mile race, comes out of the starting gate quickly in Saturday's Wilderness Sled Dog Race in Greenville. 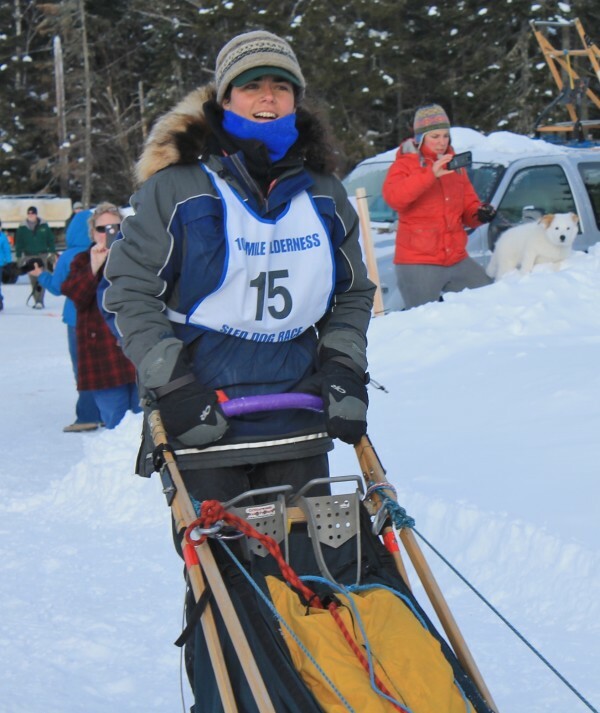 Rico Portalatin of Milo brings his team across the finish line first in the 30-mile event in Saturday's Wilderness Sled Dog Race in Greenville. 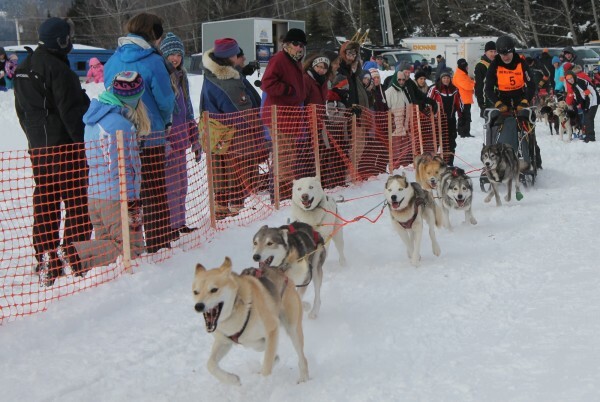 GREENVILLE, Maine — With fresh snow on the trails and temperatures hovering about zero, conditions were nearly perfect for the ninth annual Wilderness Sled Dog Race on Saturday in Greenville. 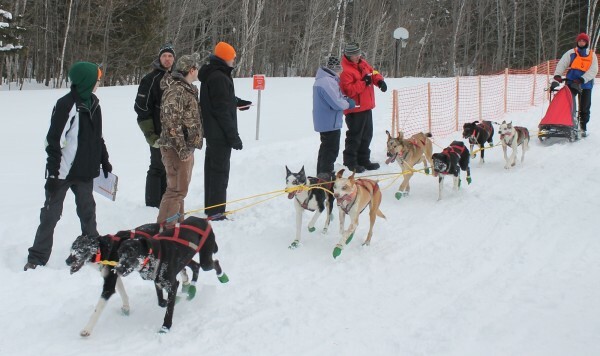 Eighteen competitors — 10 in the Plum Creek 60-mile event and eight in the West Branch Pond Camps 30-mile race — left the starting gate outside of the Leisure Life Resort with more than 100 spectators lined up on both sides of the snow fence to cheer them on. The first team across the finish line in the 30-mile event was Rico Portalatin of Milo with a time of 1:46:22. He added that the cool weather was great for the dogs, too. Martin Massicotte of Saint-Tite, Quebec, captured the winning trophy in the Plum Creek 60-mile race with a time of 5:33:30. 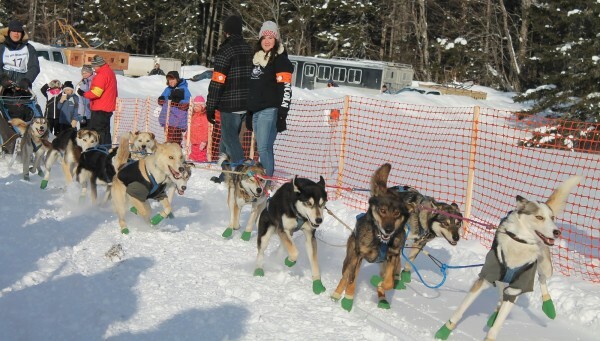 He also won the 100-mile event last year and has five Can Am Crown 250 victories on his mushing resume. The traditional 100-mile race was shortened to 60 miles this year because of the planned expansion of Medawisla Lodge and Camps on Second Roach Pond about 20 miles north of Greenville. Amy Dionne of St. David, who won last year’s 30-mile race, said that the Plum Creek Wilderness weekend was a good tune-up for the Can Am 250, which gets under way Feb. 28 in Fort Kent. The Dionne sisters also like competing in the Greenville races. “This is my third time down here, and it’s a blast. 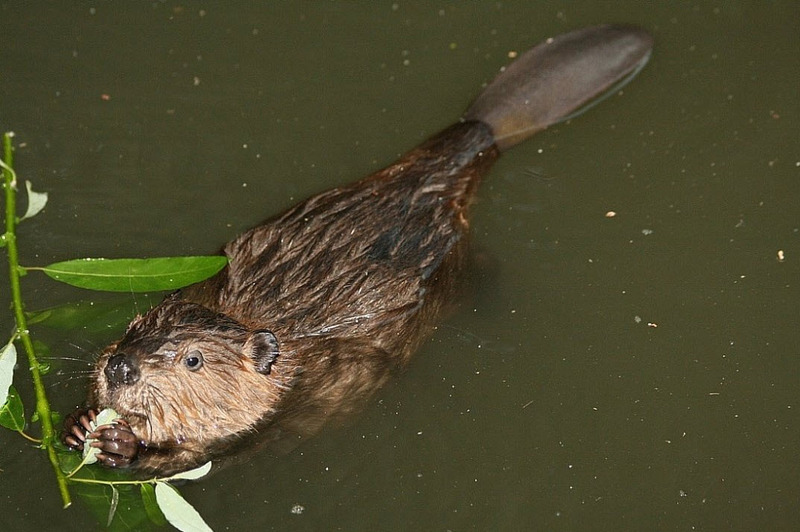 The trails are in great shape, and the community is wonderful,” Amy Dionne said. She finished fifth in Saturday’s 60-mile event. Shawn Graham of Fort Kent has been volunteering for the Plum Creek Wilderness Races from the beginning. He and Greenville Town Manager John Simko spent a great part of the day at the starting gate, helping the mushers keep their teams steady until the start signal. In addition to the individual volunteers, the Moosehead Riders Snowmobile Club and Appalachian Mountain Club also played a major role in keeping things running smoothly. Jill Carter and Michelle Chase of Beaver Cove volunteered for their second year at the races, helping get teams to the gate and answering questions from the spectators. Chase owns four huskies and said that she likes to do recreational sledding. “So we’re happy to come out and support this race,” she said. Jason and Megan Agrell of Parkman usually come to Greenville two or three times per year, especially during the winter months, so the Plum Creek Wilderness races are must-see events. “This is only our second time up here for the races, and we’ll definitely keep coming back,” he said.